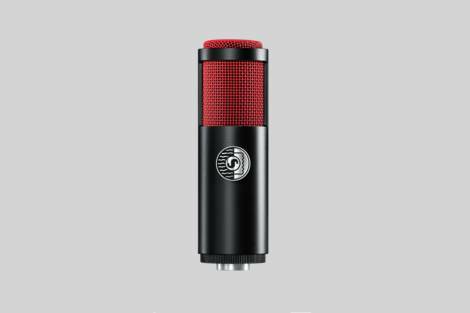 Dual-voice ribbon microphone features resilience at extreme SPLs and increased durability, and consists of a swivel mount, and protective case. Dual-voice ribbon microphone features resilience at extreme SPLs and increased durability, and consists of a swivel mount, and protective case. It features a bi-directional pattern for premier audio with superior off-axis rejection. Custom-sourced components for superior presence, minimized signal loss and maximized output. What is the KSM313/NE best suited to? The KSM313/NE is best suited to amplified instruments or for intimate vocal applications. How is the KSM313/NE different to other ribbon microphones? The KSM313/NE’s high-tensile strength, toughness and shape memory of Roswellite™ ribbon material replaces traditional foil ribbons for superior resilience at extreme SPLs and allows the microphone to be more durable. The bi-directionality means that one side of the KSM313/NE provides a brighter character that shines on your vocals, while the other side offers a rich, full sound that's ideal for your amplified instruments.